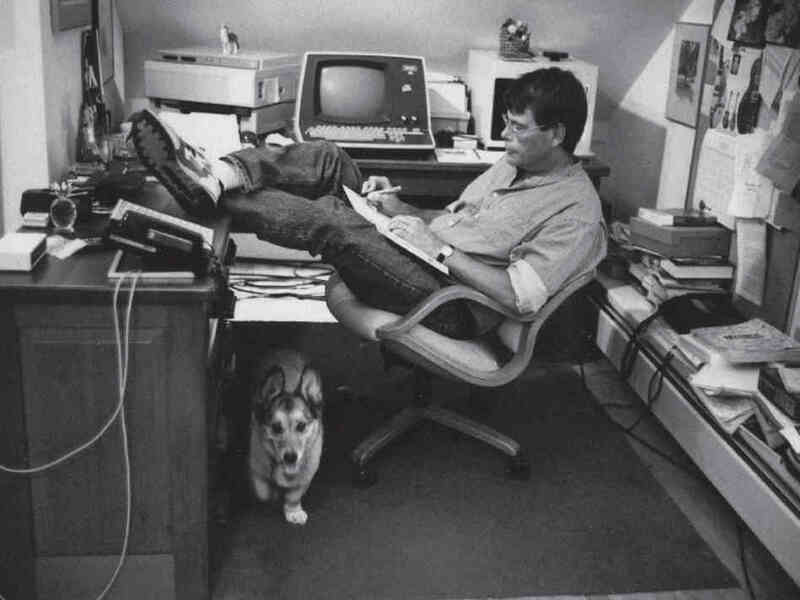 Stephen King is my new BFF! Not really, but my impression of him has changed so much in the last year and a half that I just have to tell you all about it. I began this LOST reading challenge in April of 2011. Of the 49 books on the list, two are Stephen King titles. The first one, Carrie, I planned not to read because I saw the movie, or parts of the movie, in seventh grade and I remember lots of blood and scary telekinetic stuff. I decided instead that I would substitute Carrie with Shane, a selection from another LOST list that was pretty much the same in length. I thought that was a fair trade. The second King book on the challenge list was On Writing, A Memoir of the Craft. I definitely wanted to read that one. A friend told me it was wonderful and since I have always dreamed of being a writer, I was interested in what he had to say. I am so glad I read it. It was very encouraging to the person who hopes to write, even if they have no formal writing education. Actually, it instructs you to get your tail to it right now and write something, everyday, if you want to make something of it. In this book he was honest, no-nonsense and really, just plain enjoyable. I sort of felt like I got to know him, and doggone it, I liked him. (By the way, I did end up reading Carrie because I thought it would be lame for me to try to complete a reading challenge, and then make substitutions for books that I dread or that make me feel uncomfortable). The whole point of the challenge was the CHALLENGE. And that is the ONLY reason why later, I’ll be reading Ulysses. You can believe that. Have you people seen that book?? I bit the bullet and read Carrie as fast as I could. Every time I came across God’s name coupled with profanity, you know, the GD word, the G was never capitalized. (you eye rollers are really rolling your eyes now), but really, anytime anything was mentioned about Christ, the Bible, “He” as a pronoun when speaking about Christ or God or other spiritual terms, I noticed he always capitalized them. Even if it was in the middle of the sentence and not necessarily grammatically correct. But if it was coupled with the profanity it was not capitalized. It looked to me that he was being respectful or honorable towards God’s name or things of faith or Christianity. I have no idea if any of this was intentional by him, or even if I have interpreted or remembered all of this correctly. But once it caught my attention, it remained consistent throughout the book. In the little bit of exposure I have had to Mr. King’s work, he never seems to laugh at or balk at things of Christianity. Some characters in his stories certainly do, or some of them get it altogether wrong, an example being Carrie’s fanatical, super-religious mother who was bonkers and WAY off track, but I don’t get the feeling that he, himself, is antagonistic toward the Christian faith. And I am pretty sure that recently I read an article reporting that he believes in Intelligent Design. That doesn’t surprise me at all. In the beginning of 2013, just after the Sandy Hook massacre, Amazon released a Kindle single written by Stephen King entitled “Guns”. Kindle singles are like short stories. This one was an essay King wrote in response to the massacre and the growing debate on gun control. I think I paid 99 cents to download it and I read it in the span of two or three days. If I would have had to guess where he stood on the gun control issue before I read it, I would have guessed wrong. I thought it was excellent. (Other than the language). It was heavy hearted, well researched, sensitive and raw all at the same time. He took a very moderate approach to the issue and really, pointed out the absurdity of some of the arguments on both sides of the isle. He made some good suggestions for progress without the unrealistic fantasy that we will ever be rid of gun violence altogether. And he doesn’t suggest that everyone turn in their guns or that they should be taken. He’s a gun-owner himself if I remember correctly. You can check “Guns” out for yourself, if you can take the…..you know…..
And then, there is The Stand. That book has been on my radar ever since I saw the mini-series on TV in the early nineties. Back then, it looked to me that if I ever read a Stephen King book, it would be that one because it didn’t look like a “Horror” story. There is no denying the Spiritual element to this story. It is not the Biblical story of Revelation but it is definitely his own version of the end of the world. It’s an incredible story that has stayed with me. Like, I hear songs on the radio that make me think about characters in the story and I find myself thinking about the people, and the dog and the crazy pyromaniac guy. And it takes me to that place where I say, “What would I have done?” “What if all that happened to me?” That’s good writing. (Even if there were some scenes that I really wish I had not read.) He has the capacity to write some really rough stuff. The Stand isn’t on my original LOST reading list but I’ve heard the producers of the show say that it had a tremendous influence on the actual creation of the show, so you know, that sealed the deal for me. I decided to make it my bonus read for the challenge taking the list from 49 to 50. And what a WHOPPING #50 it is! That book is massive!! That brings my total of Stephen King books to four. That’s four more than I thought I’d ever read. He has written a bazillion. I don’t have any plans to read any others. So many of his books are so long and my “To Be Read” list seems to grow more and more every day, but I’m not saying never. I am glad that I have read the four that I have. I’ve seen or heard where a few people consider “It” to be his best work but I think most of his fans agree that “The Stand” is his Magnum Opus. 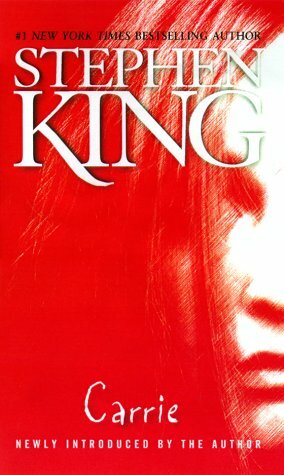 So, yes, I definitely have a new appreciation for Mr. King and his work. Even though I don’t agree with his use of language or some of the subject matter he writes about, I have developed a great respect for him as a writer and more importantly, as a person. I’m glad I decided not to throw the baby out with the bath water, so to speak, in deciding whether or not to read his work. Reading The Stand was some good stuff. There was plenty of muck to wade through too but the good stuff, hidden inside, was worth all the effort. 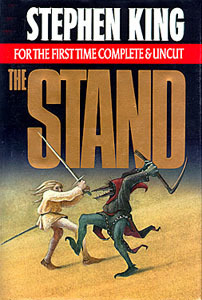 My review of The Stand is up next. Great start to the review. I’m glad to see you are not one of those people who “judges a book by its cover”. I was a fan of Steven king and ann rice before a became a believer and so though now I am not really interested in that reading I remember how great their writing is. I don’t think anyone can make a fair judgement without reading the work for themselves. So I’m glad you did that. I can’t wait to read your other reviews of the book and I’m glad you started with a review of the author. So many people may just see his name and form their opinion on that. Great job!